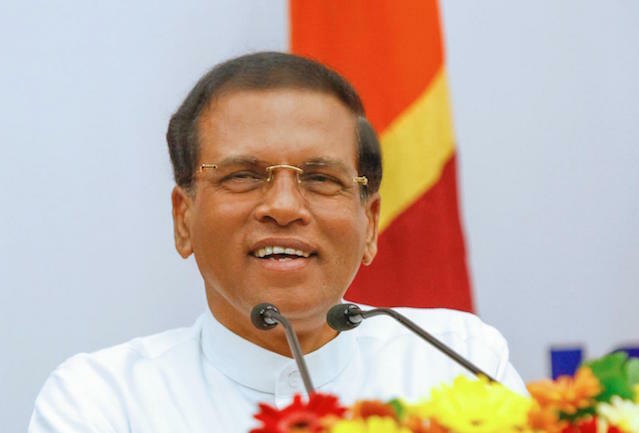 As promised last week, President Maithripala Sirisena has today appointed a three member special presidential commission to investigate the bond scam at the Central Bank, allegedly committed by ex-Governor Arjuna Mahendran. The commissioners comprises: Supreme Court Judges Kankani Tantri Chitrasiri, Prasanna Sujeewa Jayawardena and retired deputy Auditor General Velupillai Kandasamy. 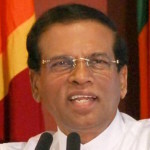 In November last year, Sirisena said that the judiciary must decide on the bond scam, and it was not a matter to be interfered by politicians. According to the Auditor General the country lost Rs. 1.6 billion due to the scam at the Central Bank which occurred during the term of Mahendran. A 55 page report by COPE in October found Mahendran guilty as he was directly responsible for the Treasury Bond transactions at Central Bank in 2015 and 2016. The scam resulted in the country losing Rs. 1.6 billion, while primary dealer of Central Bank, Perpetual Treasuries Limited, which is linked to Mahendran’s son-in-law Arjun Aloysius, recorded a profit of Rs. 5 billion for the year that ended in March 2016, an increase of 430% in profits in comparison to the previous year at the company. Ranil, relax. No harm. The core band, whose hands have the nose string of ‘lokka’, will not allow him to do so. Mere trick to fool the public. I bet my last cent for that. This can help speed up the other investigations too. Pleae collect the information from Yoshita and his activities since he is now back in the country. Then entire family is caught by horn. Anyways, we have also information coming from Dubai National Bank…. all that we will provide you with the facts, but facts. proving the gravity of money grabs. Maximoroon, the days ahead of you you will haveto see it right. We will make it. 1. Very Good. appoint Presidential Commission, and 2 years later there will be report, and nothing happens. 2. Why not appoint a Presidential Commission to investigate the killings ans stealing of public funds by the Mahinda Rajapaksa and cronies? an example is the U S $600 million pocketed by Mahinda Rajapaksa from the Hambantota harbor? What about the US $30 million pocketed by Gotabaya Rajapaksa, and the killing of Lasanthan and others? 3. Why is BBS criminals Ganasara still free? 4. Why is your Daham Sirisena, your son,, the Criminal not persecuted, for his crimes? 4. Do you know why you have earned the titles of Turncoat, Traitor, Gona (to the Rajapaksa stolen millions), Mala-Perethaya ( of those killed) and Sevalaya, from the 6.2 million who voted for you? Just think! So far, the names of the CB officers who conducted the auction, are shrouded in secrecy. They will know why the particular primary dealer was favoured. Mr. President: You took so much pain at the meeting held at Abeyaramaya, to justify the appointment of this Commission to investigate the CB “Bond Scam”. Have you, ever, thought WHY you have to go to that extent of defending and explaining to the public on your action of appointing “Presidential Commissions”? I invite you to think of one and the only reason, why the PEOPLE are “SCEPTIC”. It is none other than, the FAILURE on the part of the very appointing authority to initiate any ACTION on the findings and recommendations of such Commissions. A very recent case in point is your own appointment of a Presidential Commission (I have already forgotten the very name of that Commission) to investigate the “MEGA CORRUPTIONS” of the previous regime. This Commission has already presented nearly six reports to you and three more are to be presented within a few days. One such report among many more, is relating to Sri Lankan Air Catering. WHAT HAVE YOU DONE TO DATE WITH ANY ONE OF THOSE REPORTS, ALREADY IN YOUR HANDS? I don’t think, you can explain that. That is why the PEOPLE do not TRUST you on this and think only this “Commissions” as a GIMMICK. I think bond scam was preplanned, both Maithripala sirisena and Ranil wickramsinghe knew it they were planning it against any possible comebcak of Mahinda Rajapakse who did the same thing and amassed wealth. That is why it is taking years, and maithripala sirisena release newspaper talks before what he does. I don’t think they will ever recover anything or ever get rid of thieves in the legislator. they continue be executives for the country. It is they all did it. So, they protect each other. Congratulations on Appointing a Presidential Commission, I congratulate you because It can help you to stand firm on what you are committed for whatever it is; nervelessness I am very happy, that commission would clearly bare where you are heading at least, which is very important for us the voters. The term of conditions of the same commission and the period of Central Bank activities that is to be inquired into will definitely tell us actually who you are! Another visit to the Toilet eh? There will be sittings,deliberations,a loud report and the matter will be dropped; The question would be who will pull the flush? This is just an eye wash to show the public and send the matter under the carpet. During the investigation Ranil will see to it. what can you expect from a Tamil to one of his Our Man, Namma AAll. 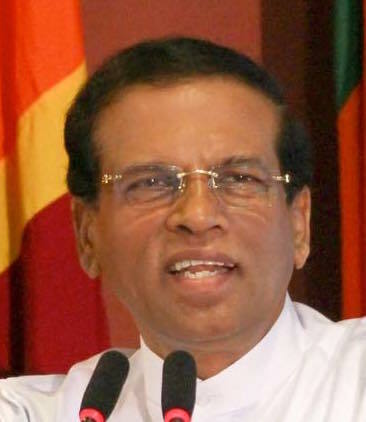 Sirisena has not developed or grown up to be serious enough to do anything effectively to achieve results. What took this idiot so long to want an inquiry into this anyway?? I bet my last red cent that nothing would happen to any of the crooks, MS/RW gang or MR cronies. This commission has been appointed to fool the public. For what reasons you need President Commission of those killed by LTTE? Majority of are killed by LTTE Tamil Terrorist outfit and other killed must be evaluated by past killed of 70,000 youth 1988/89/90 by President Ranasinghe Premapala and Ranil W… was leading members of cabinet that his accountability was there? Life of Dr Rohana Wijeweeera ails Attnayake of JVP Terrorist leader life had been taken by UNP leadership, Rnail W… was there at time? Where is Presidential Commissions for those who kills 70,000 youth of Island? No argument must be FAIR for killed by state since 1971 not yet address by any government ! Prez, in his statement in the temple said that he is taking this positive action based on legal advice. Can a Commission of Inquiry appointed under the relevant law punish like a court of law? Oh! No!. We have had enough of investigations on this subject and what requires is a court case of there is any evidence. Therefore the buck stops in the AG’s Department even after a commision of inquiry. Sri Lanka should follow the US model of having a Grand Jury, which is afact finding mechanism and can level charges against the miscreants.